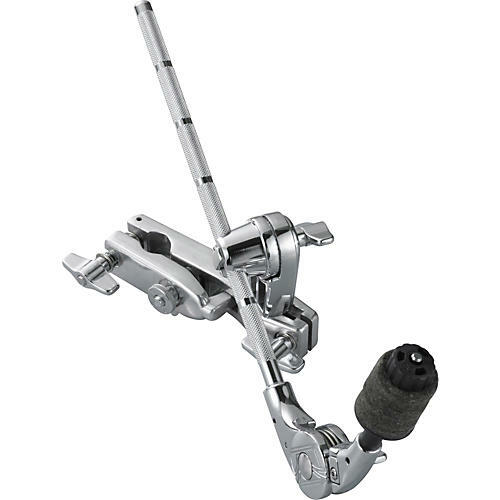 The Tama MCA63EN Cymbal Attachment works perfectly for adding splashes, effects, and small crash cymbals and accessories to stands with pipe diameter of 3/4" to 1-1/8" (19.1 to 28.6mm). Clamp (included) for attaching to existing stand features quick release to expedite attachment and removal process. Lightweight, solid, and secure, the MCA63EN features a quick-set tilter that uses a large multi-disk mechanism that offers more strength, requires less effort, and allows more flexibility than standard toothless tilters.